With no moving parts, CCD scanners have traditionally been used as low cost, robust alternatives to lasers. 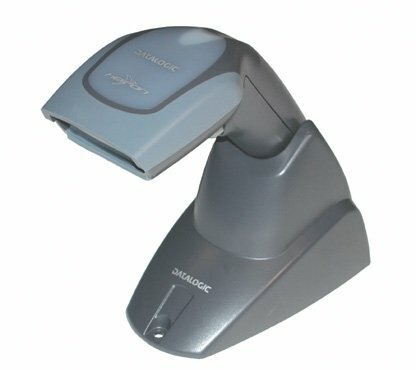 Original CCD scanners had only a short range, up to about 5cm., and the length of barcode that could be read was determined by the width of the reading head, usually up to about 90cm. The barcode also had to be on a fairly flat surface. This type of 'contact' CCD scanner is still popular where selection of barcodes at very close range is necessary. The Datalogic 6000 series scanners featured in this section of the website are examples of contact CCDs. In the 90's, CCD technology was improved upon by linear imager scanners, again with no moving parts but with the long range of many laser scanners and with very high scan rates of several hundred scans per second. The new, fast, gun-shaped long range linear imager models from Datalogic, HHP and others are outstanding performers, and depending on application, are often better than short-range lasers. OUR MOST POPULAR CCD and LINEAR IMAGER SCANNERS. Click on a link or picture for PRICE and more information.